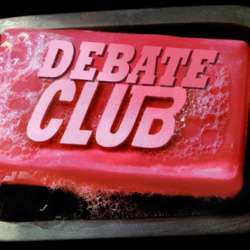 You must be a member of the Panama City Debate Group to attend this activity. Would you like to join this group? Join us as a participant or a spectator for yet another civil debate. Topics will be disclosed to attendees prior to the meeting, and are certain to be controversial and mentally stimulating. The debates are held in English, but we're all friendly and patient so we are happy to assist the Spanish speakers with translation when they're having difficulties with particular concepts or expressions.